What's it like to be 80 years old and to be known for it by friends, former students, colleagues, etc.? Like a spaceship passenger headed out to infinity? Like an runner approaching the final bar before the finish line? 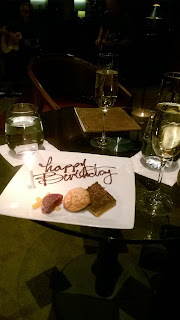 My family and friends boosted me across the bar between my 70's to my 80's this past weekend--January 25-26. First, on Friday, January 25, the official day, I woke up to a highly decorated scene. 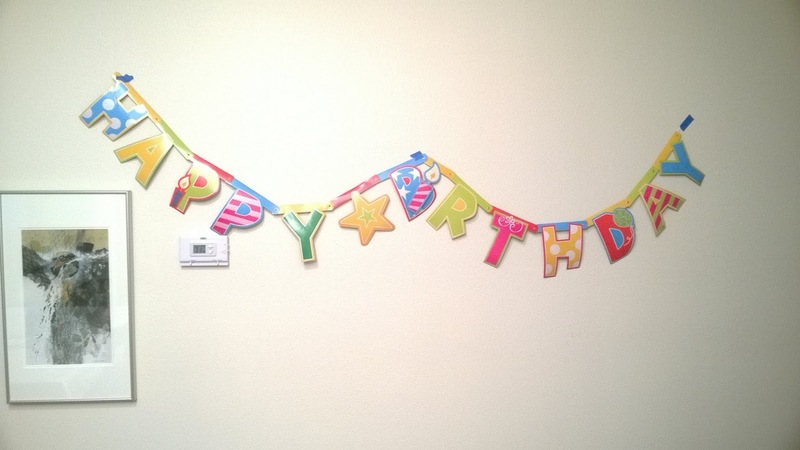 A long "Happy Birthday" sign hanging on the living room wall. A ton of birthday cards set magically on a table under the sign, as if a mysterious postal delivery service had placed them there overnight. Next: a very special breakfast that Lucy prepared. 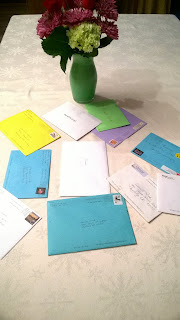 During breakfast we read the messages in the cards--some from relatives, others from former students, and some former colleagues and neighbors. Joyful memories. What a look-back over the some of the best events of many past years. Years? Well, decades, actually. Later in the day daughter Christina arrived and we enjoyed a great supper together at home. After supper we migrated over to the Allison Inn, one of the great spots in the entire nation for quiet Friday evening jazz. Early on Saturday Christina left for home, then returned with her two kids--my grandkids. Two more grand-kids in Seattle sent cards. We skyped with the Seattle family. That was fun. Soon Lucy's Philomath, OR relatives, my in-laws, arrived too.That turned the solo party into a duo because Lucy's brother had passed a birth day anniversary too. We enjoyed many hilarious stories from a repertoire collected over dozens of years. The tasty dinner topped off our time together, appropriately culminating in savoring that great cake. With ice cream, or without? It was my choice. What did I choose? Well, forget your and my medical instructions. What would you choose under similar circumstances? For me, the day was more like jumping the bar, and not at all like the spaceship to nowhere. As they departed, grand-kids, daughter and in-laws left behind some great memories of the weekend of celebration. I can't wait to help Lucy over the 80th year bar when her turn comes up. I'll leave it to her to divulge the date if she wishes. I'll just say it's some time in the coming decade. My advice to her: get ready to jump.